Compare at $10920 - Our Price is just $10500! Larger than most in its class, this Hyundai Accent offers more space for less money. 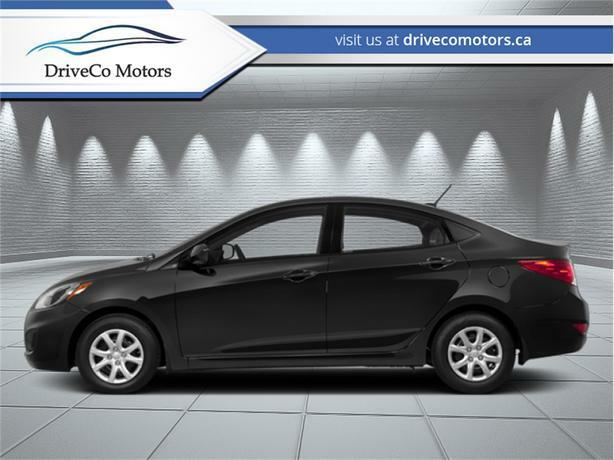 This 2014 Hyundai Accent is for sale today in Coquitlam. It's hard to find style, safety, and value in a fun to drive package, but that's exactly what this Hyundai Accent delivers. Leave compromise behind and enjoy this fun, economical Accent filled with modern design and advanced safety features. Let this Hyundai Accent change your idea of small cars. This sedan has 89037 kms. It's ultra black pearl in colour. It has an automatic transmission and is powered by a 138HP 1.6L 4 Cylinder Engine. This vehicle has been upgraded with the following features: Power Windows. Our Accent's trim level is L. This subcompact Accent L is a tremendous value and fun to drive. It comes with an AM/FM CD/MP3 player with a USB port, power doors, 6-way adjustable front seats, auto-off headlights, variable intermittent windshield wipers, stainless steel exhaust, four-wheel antilock disc brakes, and more. Buy this vehicle now for the lowest bi-weekly payment of $68.41 with $0 down for 84 months @ 4.99% APR O.A.C. ( Plus applicable taxes - Plus applicable fees ). See dealer for details.